Kardamena is set in the south of the island of Kos. This lovely Greek island forms part of the Dodecanese (12 islands) chain and is surrounded by the Aegean Sea. 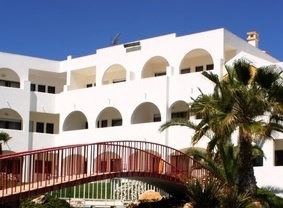 The resort of Kardamena is one of the most popular holiday destinations in the Greek islands. Since the early 1980's the development of the resort has continued taking Kardamena from a sleepy fishing village to the vibrant holiday resort it has become today. Kardamena's beautiful sandy beach is lapped by crystal clear waters and with a length of almost 5 kilometres it is the longest beach on Kos Island. It is easy to see why the resort has become so popular, the great beach combined with the lovely Kos weather that's ideal for lazy days of sunbathing and relaxing or snorkeling, scuba diving and water sports for the more active. Kardamena has a good selection of holiday accommodation from simple room only to luxury hotels. There is also a wide variety of restaurants in the resort with an incredible choice from Chinese, Greek, and Indian to fast food and pizzas and the prices are fairly cheap! One of the things Kardamena is very well know for it's the nightlife, the resort provides a rich mixture, you can choose from raucous bars and nightclubs to quiet sophistication. So whether you're young and single looking to party every night or with your family seeking a more relaxed and chilled atmosphere Kardamena can provide it all.